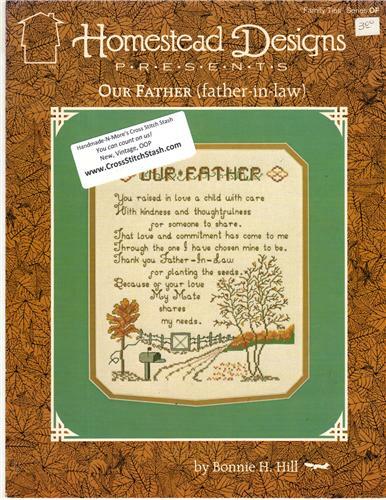 Homestead Designs Our Father (Father-in-law) cross stitch leaflet. Family Ties Series. Bonnie H Hill. Stitch count 140 x 162. Store sticker and price tag on cover, some very minor shelf wear along edges.